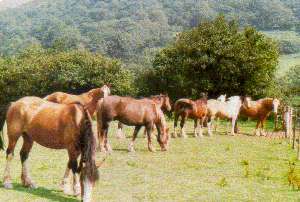 We are a family run centre, with qualified, cheerful guides to take you Pony Trekking high in the beautiful Black Mountains of Wales on kind and responsive horses. Treks to suit the beginner with instruction. Treks suitable for the experienced rider where there are flats for cantering across the mountains. Spectacular views. We also have available en-suite accommodation approved by Visit Wales and Camping.